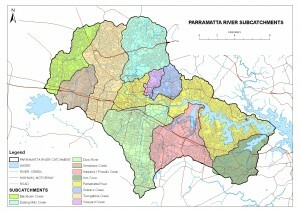 The Parramatta River extends from Blacktown Creek in the west to the confluence of the Lane Cover River in the east. The Parramatta River is the largest river entering Port Jackson. The river is tidal to the Charles Street Weir in Parramatta, some 30 kilometres upstream from Sydney Heads. The total area of the catchment is 257 square kilometers. The majority of the catchment is managed by local government, including the Local Government Areas (LGAs) of Ashfield, Auburn, Bankstown, Blacktown, Burwood, Canada Bay, The Hills, Hunters Hill, Holroyd, Leichhardt, Parramatta, Ryde and Strathfield. Other major land managers include Sydney Olympic Park Authority, Bidjigal Reserve and Shell Oil Clyde Refinery. The total length of waterways in the catchment is 222.4 kilometres. The estuary itself covers 12 square kilometres and is in a constant state of flux with tidal movements and freshwater from the river’s tributaries changing the chemical composition of the water on a daily basis. For example, salinity can be as high as the ocean but can also be as low as half when the rivers are running strongly. Tidal flushing for complete water exchange takes 3-4 months. 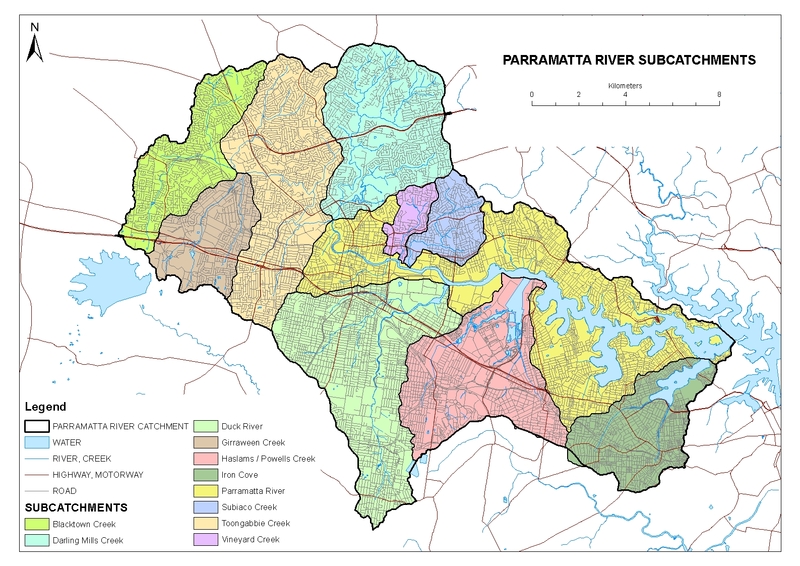 Significant tributaries to the river include: Parramatta River, Subiaco Creek, Tarban Creek, Duck River, Duck Creek, Haslams Creek, Iron Cove Creek, Hawthorne Canal and Powells Creek.